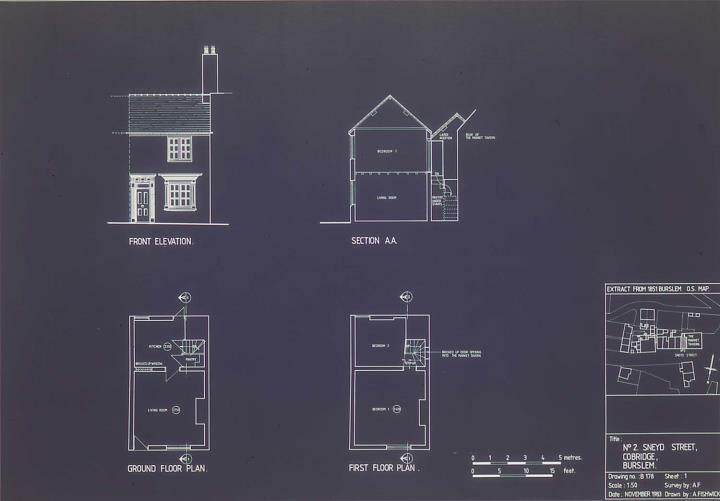 Description:This plan is of the terraced house at no.2 Sneyd Street in Cobridge. The house backs onto the Market Tavern pub; there was once a door between the two but it has been bricked up. 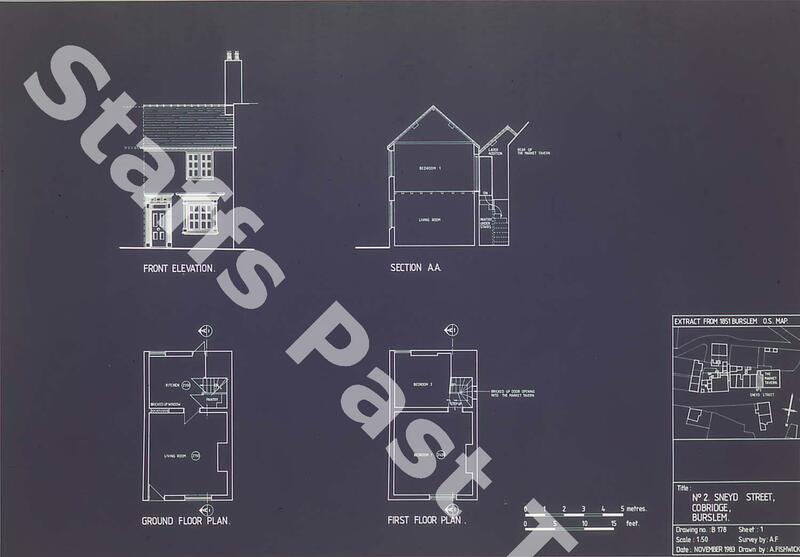 - Ground floor plan showing the living room, kitchen, pantry and a bricked up window.